Great news for the Bronx!!!! The film "Gun Hill Road", which was exclusively filmed in the Bronx at the DEMAND of Bronx director Rashaad Ernesto not only made Sundance; it was also SOLD. It is extremely exciting to me since I helped find many of the primary locations for the film. It was a great experience being part of the production and I am ecstatic that all their hard work paid off. There will definitely be more posts on this topic. Here is to their success and more film related business in the Bronx!!! CONGRATULATIONS!!!! January 27, 2011 (Park City, UT) – Motion Film Group, Inc., a newly formed independent film venture from entertainment financier Fotis Georgiadis, has acquired the worldwide sales and distribution rights to writer/director Rashaad Ernesto Green’s debut feature Gun Hill Road, which premiered to a sold-out crowd and standing ovation at Sundance on Monday, January 24 in the U.S. Dramatic Competition. The coming-of-age drama set in The Bronx stars Esai Morales (“Caprica,” “NYPD Blue”), Judy Reyes (“Scrubs”), and Isiah Whitlock Jr. (Cedar Rapids, “The Wire”). Ronna Wallace of Eastgate Pictures LLC along with Andre Des Rochers, Esq. of Gray Krauss Des Rochers LLP negotiated the seven-figure deal on behalf of Gun Hill Road producers Ron Simons of SimonSays Entertainment and Michelle-anne M. Small. Motion Film Group plans to release the film theatrically in early summer, with an initial U.S. launch into New York, Los Angeles, Chicago, San Francisco and Washington, D.C. Further theatrical expansion will occur throughout the summer, with video release likely in the fall. The company also plans to debut the film to the international buyers market at the Cannes Film Festival and Marche du Film in May. Gun Hill Road follows macho ex-con Enrique (Morales) who returns to the Bronx after his latest prison sentence to find the world he once knew has turned upside down. While his wife, Angela (Reyes), struggles to hide an emotional affair, his now-teenage son, Michael, explores a sexual transformation well beyond Enrique’s grasp. Unable to accept his child, Enrique clings to his masculine ideals while Angela attempts to hold the family together and protect Michael. Still under the watchful eye of his parole officer (Isiah Whitlock, Jr.), Enrique must become the father he needs to be or, once again, risk losing his family and freedom. The film features performances by seasoned actors Morales, Reyes, Isiah Whitlock Jr., Franky G, Vincent Laresca, Miriam Colon, and Vanessa Aspillaga, as well as acting debuts by extraordinary people Green discovered on the streets and subways of New York City, including newcomer Harmony Santana, who portrays the conflicted teenager in the story. Motion Film Group’s Georgiadis previously worked as the principal financier behind the acquisition and release of “Hounddog” from Empire Film Group in 2008 and director Joel Schumacher’s “Twelve” from Hannover House last summer. The formation of Motion Film Group represents the next step toward independence and control over all new entertainment investments being pursued. Here is a post for all the art lovers out there. For those of you that attend, please do feel free to post your reviews on the BoogieDowner. Journey to far away places and distant lands. Encounter a spirited few in the new exhibit, Distant Faces and Places at Riverdale’s only contemporary Art Gallery, Elisa Contemporary Art. 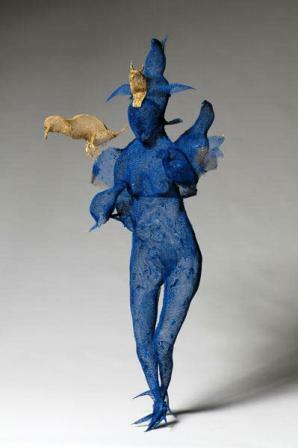 Our current exhibit explores abstracted landscapes and figurative work in paintings and sculptures. It is an invitation to escape into the worlds of our four artists and find a place to call your own. From the art of Syracuse artist, Sharon Gordon, whose landscapes balance delicately on the fine line between abstraction and representation to the intensely pigmented exotic worlds of Canadian Artist, Marie Danielle Leblanc. In the haunting paintings of Hawaii artist Connie Firestone, you'll sense a watchful presence and be captivated by the body and shadows of the wire mesh sculptures of Kaya Deckelbaum. These four female artists create visions of alternate spaces and places to explore. Check website for additional events in late February to support the Arts to Grow programs for Riverdale Neighborhood House. I have attached a detailed press release and two installation images. If you are interested in higher resolution images, please contact me at Lisa@ElisaArt.com. Thank you in advance for your support in generating awareness for this exhibit. Elisa Contemporary Art www.ElisaContemporaryArt.com Changing the world through art. Many of you probably heard of the recent passing of former NY State Senator Guy Velella. As per the multiple articles circulating, he died of complications from lung cancer Thursday. Mr. Velella represented the 34th State Senate District for 28 years. 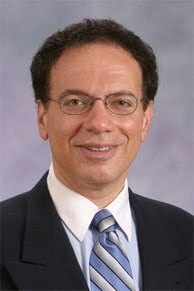 As a resident of his district, during much of the time he held the position, I want to offer a small tribute to my former NY State Senator who advocated for my betterment. He was always seen at community events or just walking to his office in Liberty Plaza on Williamsbridge Road. He might have even been one of a few dignitaries at my Eagle Scout Ceremony years ago. "Every time we pray, if your prayer is sincere, there will be new feeling and new meaning in it which will give you fresh courage and you will understand that prayer is an education." Much like Senator Guy Velella advocated for the 34th State Senate District and all NYS residents, I assume many of us would do the same for one of our own. This time, not with votes but a simple heart felt prayer. Maybe Dostoyevsky was right and it might do us and the community at large some good. Above is the Baychester Little League score board purchased with funds secured by the former State Senator. Below is a sign that has fallen into disrepair honoring the former State Senator as well. Even though I have been very liberal in keeping all comments up, even if negative against me, I will not tolerate a negative comment about the dead especially during his period of penance. All negative comments will be erased. Former St. Senator. Velella; My you rest in peace. Here is information and a zoning amendment that will affect members in Community Board 10. Community Board 10 covers the more residential, lower density neighborhoods in the East Bronx. It stretches as far North as Co-op City and as far South as Throgs Neck. Many people are unaware that much of the East Bronx was annexed to NYC later than the West Bronx, and that many parts of the East Bronx have a different feel, less access to train transportation and probably much higher average incomes. The East Bronx neighborhoods would also probably have a greater ratios of cars per capita and a higher per capita of residents with premium insurance allowing more negotiating room with physicians that are looking to open up shop in those neighborhoods. I believe the new Hutch-Metro Center, where my doctor has his offices, would also supply any need for additional medical space. As per the day care centers, I am sure there is a need for child care but am unsure how they affect various neighborhoods in CB 10. I would assume people who have children appreciate them while residents without a need for child care would compare it to a commercial enterprise on their street. Please do let me know what you think about the zoning amendment. The official press release from Councilman Vacca's office is below. BRONX, NY ― Council Member James Vacca today hailed the passage of a zoning amendment he initiated that strictly limits the development of medical offices and day care centers in the residential sections of Community Board 10. · A minimum lot width of 60 feet. · A minimum lot area of 5,700 square feet for medical and 10,000 square feet for day care. · 1 parking space per 400 square feet of medical and 1 space per 1,000 square feet of day care. · Height, bulk, and yard restrictions in line with residential standards. The rule change was originally designed for Staten Island but was amended to include Board 10’s Lower-Density Growth Management Area at Vacca’s request. The Department of City Planning has indicated it would consider similar restrictions for other low-density areas, such as most of Community Board 11 and parts of Queens and Brooklyn, in the near future. 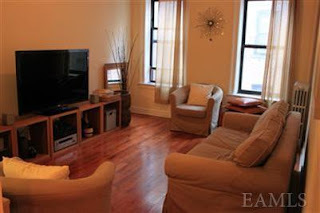 For more information, please visit the City Planning website at: http://www.nyc.gov/html/dcp/html/ldgma_si/index.shtml. Here is a competition that might be a good opportunity for any visual artists reading this blog. There is a deadline so please read carefully. smARTpower will send 15 American artists abroad to work with local artists and young people on the creation of community-based art projects in China, Ecuador, Egypt, Ghana, India, Kosovo, Lebanon, Nepal, Nigeria, Pakistan, the Philippines, Kenya, Sri Lanka, Turkey, and Venezuela. This is an open competition for both established and emerging artists who are U.S. citizens and at least 18 years of age. All applications and materials for the smARTpower program must be received via the smARTpower website by midnight, February 28, 2011. The online application is available at http://www.bronxmuseum.org/smartpower/. More information on smARTpower and the call for artists follows below. The Bronx Museum of the Arts and the U.S. Department of State’s Bureau of Educational and Cultural Affairs announced a call for visual artists to apply to the smARTpower program. smARTpower is an international exchange initiative that will send 15 American artists abroad to work with local artists and young people on the creation of community-based art projects. Building on Secretary of State Hillary Rodham Clinton’s vision of “smart power diplomacy,” which embraces the use of a full range of diplomatic tools smARTpower will send selected artists to 15 countries, including China, Ecuador, Egypt, Ghana, India, Kosovo, Lebanon, Nepal, Nigeria, Pakistan, the Philippines, Kenya, Sri Lanka, Turkey, and Venezuela. The deadline for applications is February 28, 2011. The artists will each spend up to 45 days in a specific country and will work with local communities to create works of art that address local or global social issues, such as women’s empowerment, education, health, the environment and civic engagement. This is an open competition and artists do not need to be invited to apply. Applicants must be U.S. citizens and at least 18 years old. Both established and emerging artists are encouraged to apply. Through smARTpower, U.S. artists will develop arts projects that focus on specific community-based interests in collaboration with local arts and community organizations. Artists are strongly encouraged to create a tangible and lasting legacy of their work, that will remain in country, through a variety of visual arts media, including sculpture, painting, photo-based work, video and installation. The selected artists will be announced in May, and the first projects will begin in summer 2011.
smARTpower is made possible by the U.S. Department of State’s Bureau of Educational and Cultural Affairs, and administered by the Bronx Museum of the Arts. All applications and materials must be received via the smARTpower website by midnight, February 28, 2011. No phone calls will be accepted. For anyone looking for a 1 bedroom/1bath co-op in another Bronx Art-deco gem, we are having two additional Open Houses tomorrow (Now it's today) at 601 Pelham Parkway. The building is an H.I. Feldman classic decked out with great time period features. The two units will be available for showing Saturday from 1pm to 3pm. The agents from our office handling the Open Houses will be Carolyn (646) 645-0599 and Yvette (347) 449-9572. I will be at the Open House at 2199 Holland Ave on the South Side of the parkway (See earlier Post) from 12 noon to 1pm, and then I should join up with the ladies at 601 Pelham Parkway. If you have any questions feel free to call me as well on my cell at (845) 304-5745. (FYI - The (845) are code comes from the store I had in Nyack years ago. I already have been grilled on that one). Here is the skinny on the units. Jr4 with great views of the Bronx Park East. Your Invite to hear and learn from the Bronx Political Leaders of 2012? Do you know who are the Bronx Rising Political Stars? And who are the front-runners for 2012 and beyond? And do you know how they got there? And how to learn the ways to be one? These are The Bronxites who stood up for their communities by competing or attempting to compete in the last Primary Election and the last Bronx Borough Presidency election. Bring your questions and opinions to a lively post-2010 election wrap-up with a panel of distinguished candidates, rising political stars and political analyst. For those interested in a new home in Pelham Parkway South Section of the BoogieDown feel free to join us tomorrow. 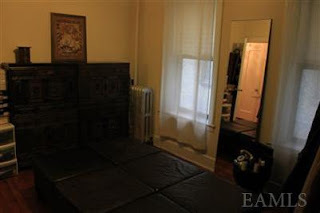 Great 2BR co-op walking distance to Pelham Parkway. Lively neighborhood with excellent shopping, especially food. Quick access to city via 2 and 5 train as well as multiple buses for easy access to East West Bronx. Large second bedroom. This is not a Jr4 converted to a 2BR. Both bedrooms are large. Second bedroom used as a dressing room. The property is reasonable priced. Below past comparable sales. In addition, interest rates are still in the high 4% low 5% range . They are expected to creep up however. 2BR are always great for re-sale. The co-op being PET FRIENDLY is also a big plus for re-sale and pet lovers. Kudos to State Senator Klein and Craigslist for Protecting our Community from Potentially Harmfull Consumer Products. The following is a Press Release from Bx. State Senator Klein’s office. In addition to Craig list, does anyone know who the anonymous distributor mentioned below is? Seams like they also deserve a round of applause for protecting the community from products that might be legal to sell but possibly detrimental to the community. Double kudos to State Senator Klein, Craigslist and the anonymous distributor, since youth would probably be the greatest affected by these allegedly dangerous drink products. NEW YORK, NY – State Senator Jeff Klein (D-Bronx/Westchester) has announced the successful removal and banning of advertisements for caffeinated alcoholic beverages from Craigslist after requesting the website remove the ads for the dangerous drinks. In December 2010, Senator Klein’s office conducted an undercover sting operation involving the purchase of nine Four Loko cans after seeing an advertisement under the ‘collectibles’ section on Craigslist. Klein issued letters to the owners of Craigslist and eBay requesting for CABs not to be sold on their websites. On January 11, 2011, Craigslist responded to Senator Klein’s request by taking down all ads for Four Loko nationwide, including two in New York State. In addition, Craigslist also searched for ads for other caffeinated alcoholic beverages, such as Moonshot, Joose and Core High Gravity. Craigslist says they do not condone the sale of alcoholic beverages on their pages, and include such products among those prohibited from being listed. “I applaud Craigslist for doing the right thing. Their decision to remove ads for these dangerous drinks goes a long way in helping save our teens from potentially devastating consequences to their health and their lives. Unfortunately, this beverage is still too easy and cheap to get in New York. My office is continuing to monitor the underground sale of these deceptive cocktails on the Internet and will crackdown on those, who by trying to make a quick buck, are putting minors at risk," said State Senator Jeff Klein (D-Bronx/Westchester). Last month, one tri-state area beer distributor took matters into his owns hands by planning to destroy $350,000 worth of Joose inventory from his warehouses. Senator Klein began the destruction process by pouring out cans of Joose and Four Loko at the Bronx beer distributor’s warehouse. In November 2010, the New York State Liquor Authority and the New York State Beer Wholesalers Association forged a voluntary agreement from the state’s largest beer distributors to stop selling alcoholic energy drinks that contain caffeine and other stimulants. New York State’s beer distributors stepped up to the plate by agreeing to stop placing orders for AEDs. They had until December 10th to clear their inventory of the products, with retailers given additional time to sell off existing stock. This agreement effectively puts a stop to sales of the beverage throughout the state. Klein was first alerted to the disturbing trend of teens consuming what has become known as "blackout in a can" in Summer 2010 when three teens in the Westchester portion of his district were rushed to emergency rooms after consuming Four Loko. "The engineer for the Grand Concourse was Louis Aloys Risse. We have a park and street named after him at the northern end of the Concourse at Mosholu Parkway. Reiss Place was named after George Reiss, a property owner who owned land at the eastern edge of the Botanical Garden. See "History in Asphalt" by John McNamara." I promise to get the book mentioned and check street name history for any future posts. I will change the info on the past post as well. Eventhough I do feel somewhat embarrassed, I do love the communication and feedback. Fine for shoveling snow into the Street ??? Does it exist and does it violate our right to "Keep our Hard Earned Money"? While watching the 10pm news last night they reported the NYC Sanitation department can issue tickets for shoveling snow into the street. Did any body else hear this blurb on the news last night? Can anyone substantiate this is in fact true? Has anyone been given a ticket for this? Is there a minimum quantity of snow that can trigger the summons? Can I give the city a ticket when the plow comes and pushed the snow in the street onto my car or driveway entrance? Will they start sending god tickets for sending the snow? It seams silly and an invasion of my right to “Keep My Hard Earned Money”, that the NYC can given me a summons while emancipating my car from under a mountain of snow. I am not for placing mounds of snow capable of obstructing traffic in the street, but what’s wrong with placing a few shovels of snow into the street so I can dig my car out or clear a drive way. Personally, I think it helps the commuter situation since it melts easier on the black tar when sunny, and the constant trampling by cars or trucks also helps squash and melt the snow. Please do get back to me with any feedback on this and or any other tickets that violate our “right to keep our hard earned money”. If there is a real issue and people agree with me I will e-mail the blog entry with your comments to Councilman Vacca who Chairs the City Transportation committee. I always see him out there fighting to improved transportation issues. I just confirmed via his web site that Councilman Vacca does Chair the NYC Council Transportaion Comittee. I also downloaded a photo of him in his Sunday best from the site as well. As mentined above, I do plan on sending this blog with your comments to Councilman Vacca's office if warrented. Here is the Boogiedowner Winter photo which seems traditional of most news and blog sites out there. The photo was taken on the corner of Reiss Place and Bronx Park East, in the Pelham Parkway North section. I included the "Reiss Pl." street sign in the photo to help illustrate his role in shaping the history of the Bronx. Mr. Reiss was the a Bronx landowner as shown in the correction to this post on Jan 28th. As a child I played ball in the baseball field to the left. We always called it Reiss Field. My little league team was PPT or Pelham Parkway Travel. I wonder if the travel agency is still around. Kudos to them for sponsoring youth events. Good memories!! Any info on Pelham Parkway Little League? Is the organization still around? For any of you interested in learning about how the Comptrollers office selects or conducts audits, here is an opportunity to learn more and also express yourself about possible community corruption. I cut and pasted the relevant points from the press release pertaining to his Bronx visit. Seams like a pro-active idea that could stop fraud and waste quickly; saving taxpayers millions. Has anyone heard of similar town hall meetings from previous NYC Comptrollers? NEW YORK, NY – New York City Controller John C. Liu will take his audit bureau on the road for a series of borough town hall meetings to give New Yorkers a chance to learn about the power of the auditing process. New Yorkers will have the opportunity to suggest an audit to the Comptroller’s award-winning audit team. Learn about the Who, What, When, Where and Why of audits. Suggest an audit to the Comptroller’s office. Everyone please welcome new Bronxite Ms. Sara Maxwell. 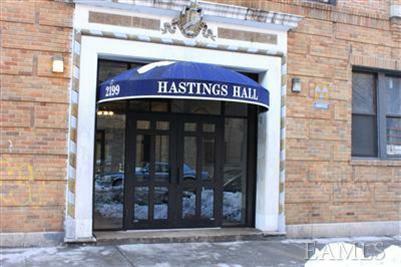 She moved into one of the great art deco buildings we have in the Bronx located at 55 E 190th. The photo is of her by her window in her new co-op unit. She decided to move here during her golden years due to the value and proximity to her life long friends on the upper West Side. She is a spunky woman full of life. When I called the other day to see how she was doing she was in great spirits and said "I love it, I love the colors, the life, the people". The first spots she wants to visit are the Botanical Gardens, Wave Hill and Arthur Ave. Any suggestions on which restaurants on Arthur Ave to hit first? In addition, she is looking for a part time job to meet and help other people. She has a long resume as a social worker; that is unless any wealthy single man is looking for a spunky woman with zest and personality to spoil. On a more serious note please do e-mail me if you do have a need for a part time worker so I can forward to Sara. This photo is of the mural in the 55 E 190th building. Many of the great art-deco buildings in the Bronx were inspired by the colors, art and shapes of the Aztec empire. Much like Greece and Rome were an inspiration to Greco-Roman inspired architecture the Aztec empire's influences were common amongst many Bronx architects as evident in this mural. 55 E 190th also sports a great lobby. The elevator even has music playing for the riders enjoyment. I love to see peoples reactions when they first see the gems we have available in the Bronx. This article is a somewhat of a response to Kappstatter’s latest article “Bronx Borough Pres. Slams ‘American Idol’ for dissing the area, while Jennifer Lopez stays quiet”. Firstly, I want to thank Kappsttater for his mention of the Boogiedowner and myself in his article. I see it as an invitation to “play in the sand box”; so let’s get started. This article might get somewhat “heavy”, long and devoid of photos since it pertains to a serious issue that many Bronx residents deal with; the often negative depiction of the Bronx. Much of my conscious desire as a NYS Lic. Real Estate Broker to sell property in the Bronx, including what most call the “South Bronx”, is almost a crusade to bring back my beloved Bronx; back to the pristine neighborhood it once was and will be again. Rest assured I am not he only one out there. I have had the pleasure of meeting all of the above listed in the header, even if they do not remember meeting me or care if they did. Each were mentioned in Kappstatter’s article. I meet Kappstater at the Bronx Ball and at a fundraiser for the Bronx News Network. I meet B.P. Diaz Jr. at various fundraisers, as well at the annual S.O.M.O.S. convention in Puerto Rico. Assemblyman Carl Heastie and I were Boy Scouts together in Troop 164, run out of Holy Rosary Church on Gun Hill Road. Jennifer Lopez and I were both members at Kip’s Bay Boys & Girls Club in Soundview. If you recall in one of Jennifer’s videos she includes footage of the Kip’s Bay Boys Club. As per the B.P.’s Diaz Jr. outrage of the negative depiction of the Bronx, I applaud him and thank him for sticking up for the Bronx. The Bronx in the 70’s was a very different place. Yes, the Bronx was once a symbol of urban decay. I admit my even my family was part of the “white flight” from the neighborhood depicted in the video American Idol broadcasted. Yes, my family and I were victims of crime decades ago. Some I can look back on and laugh at, like the time someone stole the windshield of the family car and the million questions I asked my mother as a young child as to why we were driving around with no windshield; or the T.V’s / VCR’s that when brought home were just frames and a brick on the inside were wires, transformers and I assume chips should have been. I will even admit to some more serious not worth mentioning that were the eventual tipping point that forced my family to leave the West/South Bronx and migrate to the more residential East/North Bronx neighborhood of Pelham Parkway. But once again that was 30 years ago and the stigma has not left partly due to “cheap shots” like the latest one from American Idol. The Bronx is presently an active market where real people from all over are moving to. To prove it here are real statistics and testimony from real people. Counting only my sales in the last 3 years or so 35 people choose to move to the area wrecked by American Idol. One closed this week to a Sara Maxwell, who just moved from D.C. to a beautiful art deco building located at 55 E 190th St. When I asked her how she was getting along she said; “I love it; I love the colors, the life, the people”. (I will have a separate post about her with photo and more detail in my next blog). The next closing in the area should be 563 Walton Ave between 149th and 150th Street. That whole block will be revitalization due to it’s architecture and proximity to the new Gateway mall, new Metro-North Station, new Yankee Stadium and one of the first subway stations into/from Manhattan. Presently it is a Single Room Occupancy (SRO) that will be converted back to a 3 family and made new via a major 203K loan renovation. It will be purchased by a long time Bronx residents who see the prudence in investing in the Bronx. As per why I used the phrase “Cheap Shots” above when discussing American Idol’s depiction of the Bronx; here are just the top three . #1) The interview was very vague about the contestants living in the Bronx beyond the 2 or 3 years he mentions living in the shelter. What was the residential neighborhood he lived in before that the father mentioned? Where do they live know? If the prior and present neighborhoods are Bronx neighborhoods why not discuss them as well? Is it because there is nothing negative to say about them and negative “sells”? How much of his life did he spend in the Bronx vs. other boroughs or counties? Can he be considered a Bronxite? If not why even mention the Bronx? #2) The video showed an ambulance with lights flashing rushing somewhere in haste. Unfortunately, they forgot to show Bronx Lebanon Hospital ,which from the footage provided, should be a few blocks away. I should hope there are ambulances rushing to the Hospital with their lights on. They also forgot to show the new multi-million dollar wing under construction at the Hospital as well. #2) The video also showed a police car pulling someone over. Yes, the Bronx has a VERY strong police presence, especially on the Grand Concourse. Some would say it’s a pre-cursor to gentrification. It is another sign of the revitalization, not decay. Most people want a strong police presence. Why sell it as a negative? As per Jennifer Lopez, I must admit I feel obligated to defend her; if she needs defending? I have not reviewed, nor do I believe she will let me see her tax returns to review what she has or has not given to the Bronx. What I do know is that she has supported many international charities, mostly protecting woman’s right. I also know that when offered 2 million dollars to perform for one night at new casino resort in the illegal occupied territories of Northern Cypress she declined. As a Greek-American I will never forget this and am eternally grateful. There are Greek and Turkish Cypriots who lived together and played as youth together for centuries. It's their island. The Turkish invasion was and is nothing more than a human rights abomination. Thank you Jennifer Lopez for not putting you name as a co-signer of aggression, war and attrocities. It’s obvious American Idol needed some “Bronx Flavor” to turn rice into paia. (Small pun for Baron Ambrosia) But like B.P. Diaz Jr. states, why not show the revitalization going on. It’s easy to jump on the bandwagon. American Idol should have explored their content and come up with something original and more accurate instead of jumping on the back of the Bronx public with another reiteration of a negative stereotype from decades long past. As per Kappstatters inference between Heastie and Diaz I know they worked together in the past and I hope they work together in the future. Both are beacons for hope for the Bronx. As per the young man with the golden voice good luck but think about the borough that gave you shelter during your families difficult times. Firstly, I thank you Erin and Lou for founding the “Boogie downer” and bestowing me with the honor to carry on the tradition. All their hard work maintaining it these last few years is appreciated. I hope to continue and expand on the foundation they built. I also must make clear that this is a new beginning. May God bless this new venture. May it be positive, informative, honest and entertaining. May it make The Bronx stronger. There are many reasons for my excitement in my new role as Custodian / Editor in Chief / Owner of the “Boogiedowner”. My primary goals for the site to become an enjoyable empowerment tool for myself and the community as well as it being a creative outlet for myself and others. With the invention of new social networking technology, the communication of news and ideas is a self help tool for the “people”, if we choose to take advantage of it. I hope over time the readership sees it’s self as a community and uses its cumulative power to promote positive change for the Bronx, our neighborhoods, our families and ourselves. With so much of today’s media owned by a few major corporations I want to clear or help explain who I am. 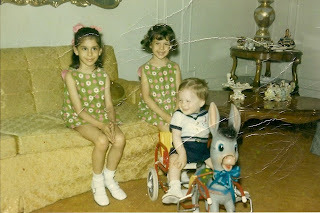 To do so I choose a few family photos that you might also find entertaining. They should help me explain who I am, and what credentials I have that make me believe I am fit to write and disseminating information about, and to the Bronx public. Please understand I am putting not only myself, but also my beloved family out there in order to provide confidence that someone stands behind this blog site and the words written on it. This blog site is run by a real person with a real name; not a ghost writer. 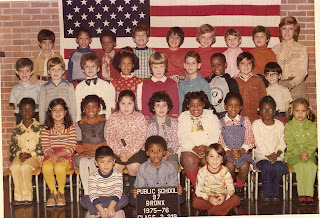 The first photo shows me back in my second grade class in 1975 along with my first love, Ms. Markowitz. I went to PS 97 in the Pelham Parkway section of the Bronx, where I live presently. I must have done every homework assignment that year. Kudos to anyone that thinks they can identify me. Kudos to all the teachers out there moldings tomorrows minds. Photo #2 goes back a little bit further. 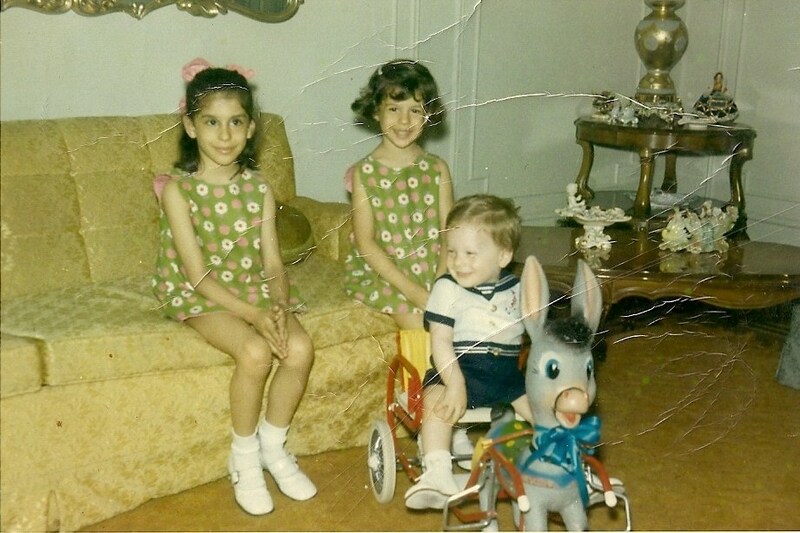 It shows me riding my donkey cart in my first home on Sherman Ave off the Grand Concourse in the early 70’s. To date I have been involved in over 60 real estate transactions many of which were large oversized co-ops along the Grand Concourse much like my first home shown above. No, I do not still ride my donkey cart but every know and then I rent a trolley from the BOEDC and have real estate tours in the Bronx. 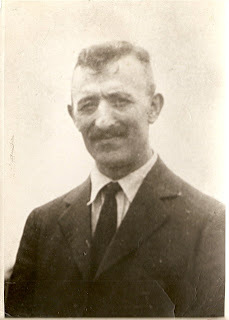 The third is were it all started with the first Gregory Tsougranis to set foot on the American soil. He was my grand-father who imigrated from Greece to America via Ellis Island in the early 1900's. Within a few years he opened Olympia Flower Shop in the Bronx. It is presently called Olympia Hearns Flower Shop. It's located at 249 E 149th St. and about to celebrate it's 104th contineous year in business in the Boogiedown. You can reach my god-father Nicholas Chugranis @ (718) 585-3060 for top quality flower arrangements and exceptional service. It might be the oldest continious family owned businesses in the Bronx. If anyone knows of other centenarian family owned small businesses please do let me know. I would love to write about and on the boogiedowner. As we're sure you've noticed, posting has been extremely light on the ole BD for the last few months. This is partially due to the fact that after having our second kid there are actually days that we don't get around to checking email, nevermind keeping up with a blog. The other reason we haven't had much time to blog is because we've been busy facilitating a move to Queens. That's right...the BoogieDowners have left the BoogieDown. There will be some Bronxites who will be sad to see us go, and some others who would have most likely shown up on moving day to cheer as we loaded the truck. Whatever camp you find yourself in, we're sure you're a bit curious as to why we're leaving the Bronx. The situation is quite simple really...we would like to be closer to family so that we can get a little bit of help as we raise the kiddos. We have family on Long Island, so Queens seems to make sense for us as 1) it is a lot cheaper than most of LI and 2) we won't have to burn up the EZ Pass on the Throgs Neck and Whitestone Bridges quite so much as we currently do. There have been a few people who have asked us if we'll continue to blog on BoogieDowner once we leave. No, we will no longer be involved with the blog. Many people took issue with the fact that we started a blog about the Bronx when we weren't born and raised here. We cannot begin to imagine the backlash there would be if we were blogging about a borough that we didn't even live in! BoogieDowner will live on though. We have found someone who loves the Bronx just as much as we do who will pick up where we will be leaving off. Enter Gregory Tsougranis, lifelong Bronxite and realtor extraordinaire. Greg has been a dedicated sponsor and longtime supporter of BoogieDowner. So look for some style changes on the ole BD, but the mission shall remain the same: to be an honest and optimistic forum for Bronx discussion, cheerleading, and information. --The New York Botanical Garden, Bronx Zoo, Arthur Avenue, Mosholu Parkway, City Island, and a host of other great areas of the Bronx that we frequented often with the kids. -- The hard-working community leaders that make Bedford Park one of the best hidden secrets in the Bronx -- Barbara Stronczer and the awesome members of the Bedford Mosholu Community Assocation and Fernando Tirado, District Manager of CB7. 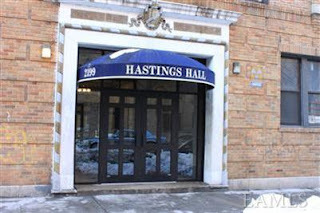 -- Our building. With the exception of one notable disgraced ex-Senator, Bainbridge House is home to a bunch of good eggs. -- Great neighbors like the Von Shuffs. -- The non-profit mafia group-think of the Northwest Bronx. -- Taking the Major Deegan and Bronx River Parkway to access the wide variety of fresh, affordable groceries that is available in Westchester, but absent in the Bronx. -- Answering to lunatics like Anthony Rivieccio. Kappy over at the Daily News will no longer be the Bronx Bureau Chief. He has been called to use his expert sourcing abilities to help cover crime on a citywide scale. It does seem that he will still be giving his best gossip every Tuesday for all the Bronx news addicts out there. Lament not, O scavengers of Bronx tidbits. Patrice O'Shaughnessy will be taking the Bureau Chief gig. See the last item in Kappy's column from today for confirmation. The first annual Winterfest will be held at St. James Park on Saturday, 1/22, from 11am to 3pm. See details below. A new business has opened on Webster Avenue, and it doesn't involve auto repair or live chickens. It's a new yoga studio which offers Zumba, Pole Dance/Fitness, Salsa, Belly Dance, Pilates, and more. RizzQue Studio and Boutique, which is located at 3037 Webster Avenue between Mosholu Parkway and 203rd Street, is the brainchild of J. Lee Cardona, a Bronx fitness and fashion entrepreneur. Excellent studio for yoga! It also offers Zumba, Pole Dance/Fitness, Salsa, Belly Dance, Pilates, and more. It is beautiful, clean, and warm enough to comfortably practice yoga. The yoga teacher, Jia, for the Monday evening yoga class was awesome. My stress just melted away! Rates are reasonable and the staff is super friendly! Click here to check out RizzQue's website for further info. There is a new food market on Riverdale Ave near Palumbo's called Shoshi's Market. Went there before the storm on 12/27 since it was open and I am so glad I did! Bought a whole wheat round bread, potato latke's and lentil soup. The bread was a hit (better than Amy's Bread...my fav) and the latkes were mmmm. Had my husband go back shopping there and he also loves the food. He brought back vegetable latkes and we ate them heartily! Go and see for yourself!! NY1 is reporting that St. Anne's in Norwood has been burglarized this weekend. This comes some weeks after the NYPD arrested a 50 year old man in connection with a slew of Church heists. Is this the real Church bandit or just a copy-cat? NY1 has some details and brief video. A New York-based production company is looking for energetic and vibrant homeowners (singles, families, couples) in the New York Tri-State area who want their homes to match their personalities, but who may not have the vision to make it happen. 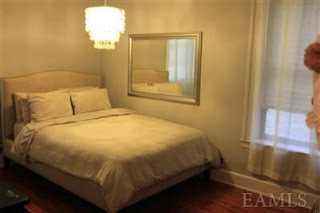 List of rooms to be styled, photos are a big plus! Our superstar designers are at your service! We will be shooting between January & April 2011.